Contact your local State Department of Revenue, City Clerk’s office or Chamber of Commerce for information regarding permits or licenses required. Do you have the appropriate general liability and workman’s compensation insurance? Have you received the proper safety training in order to complete the job safely and efficiently? Do you know what tools and products will best serve your business needs? 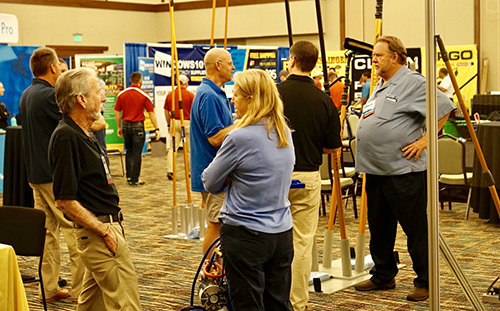 IWCA’s Member Value Program, MVP, is a membership benefit that offers valuable discounts and special offers on the products and services that companies from all facets of the window cleaning industry use every day. Successful business owners know that running a profitable company requires strict attention to detail. IWCA understands need for securing the lowest prices possible for products and services that our members use on a daily basis. That’s why IWCA created the IWCA Member Value Program, a portfolio of companies offering you the products and services you need at significant savings. In fact, our goal is for our members to save enough on overhead costs to offset the cost of their IWCA membership dues just by participating in this program. Here are the various categories of products and services currently included in the IWCA Member Value Program. Your business’s reputation is built on the quality of products that you use in the work you do every day. That’s why the IWCA Affinity Partner Program brings together companies that specialize in superior equipment manufacturing and top-of-the-line equipment and maintenance products. The laws affecting your business are continually changing and as a business owner you want to stay in the forefront of understanding how these laws affect you and your workers. IWCA understands the need for low-cost effective legal representation and has partnered with Pre-Paid Legal Services, Inc. to provide IWCA members with valuable legal services that are affordable. The special offers and discounts offered by the IWCA Member Value Program are available to IWCA members only. For more information about membership, contact IWCA Headquarters at (800) 875-4922. The IWCA Membership/Benefits Committee is continually looking at products and services that will enhance and add value to your business and your IWCA membership. Other partner programs will be offered as they are reviewed and recommended by the committee. If you have ideas of services you would like to see included, please contact at IWCA Headquarters at 800.875.4922.